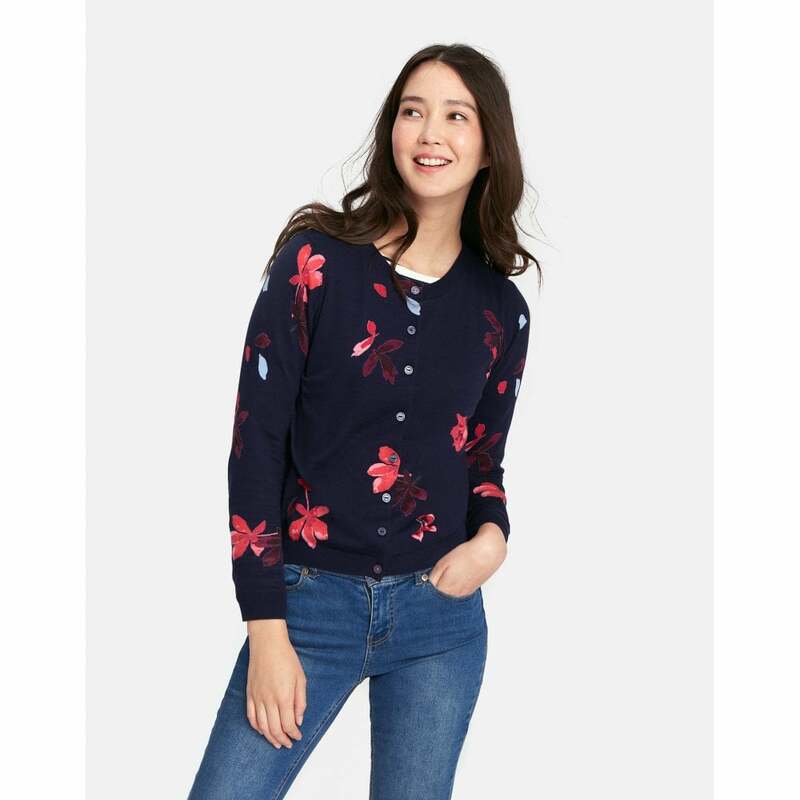 This beautiful fitted Skye print cardigan is available in french navy chestnut leaves and silver harvest floral. Two stunning lightweight knits perfect for layering this season or everyday casual wear with your favourite jeans. Dress them up or down to suit your style.